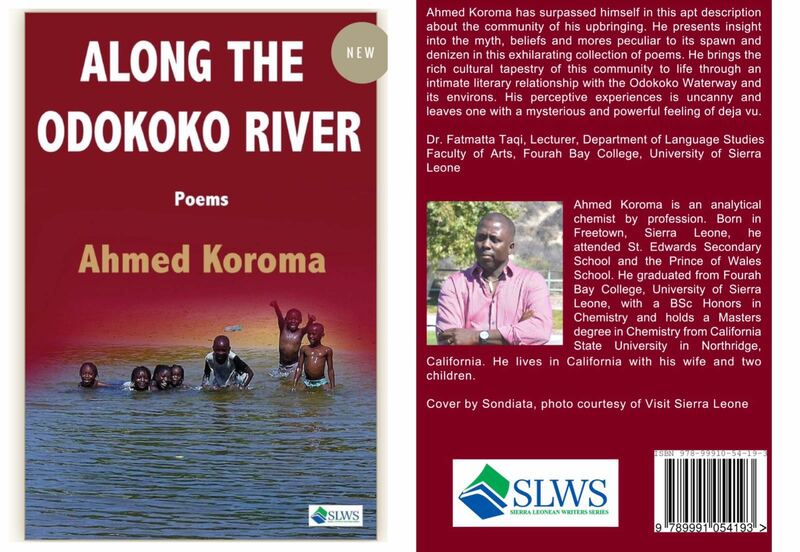 When Ahmed Koroma visited Vitabu’s virtual room in October 2012, he had just published a collection of poems. “Words matter,” the Freetown-born analytical chemist told us that fall. This spring, he revisits Vitabu with a new poetry book. Vitabu: How would you describe this collection of poems? Ahmed Koroma: This second collection of poems transitions us to a safer place, so to speak, far from the darkness that is captured in the previous anthology. Of Flour And Tears was a post war project, poetry of inferno, mayhem, destruction and lost hope. However, Along The Odokoko River returns us to a pre-war Freetown to search for that peaceful abode that was once an imperfect yet stable home. Along The Odokoko River is a nostalgic journey through multiple spaces, imaginary and real -- mostly along a waterway that traverses the central area of our hometown, Freetown. Vitabu: What inspired this collection? AK: Nostalgia. A yearning for those halcyon days, that simple childhood life growing up in Freetown. This collection is written against a backdrop painted with a mixture of the spiritual, the religious and what I call mischievous superstition. There is a sense of daydreaming, one that ultimately catapults us back to a moment in post-independence Salone filled with hope. It is no question that the current situation begs for that return to a place of our childhood where we felt safe. Vitabu: Can one find solutions in poetry? AK: A solace, perhaps. A poet's role is to observe, interpret and express his feelings through his writing. Obviously the political dynamics of his time is no exception to that interpretation and observation. There are a few poems in this collection that call out some of the frustration we face as a nation and how those who are put in charge continue to squander an opportunity given to them. "Rebranding" and "Innocence Lost" speak to that frustration and question the commitment of those in power to alleviate suffering. But again, this collection strives for a safer place far from the madding crowd of politics and chaos. Vitabu: What's the takeaway from this collection? AK: A feeling of retrospection and the longing for those days of yore. A celebration of sort, of a rich cultural tapestry of a society that we grew up in and continue to yearn for. Also a sense of returning, to the place we call home is well evident, that our journey through life will end up where it all started: at the junction where four roads meet. Ahmed Koroma attended two of the most famous schools in Sierra Leone’s capital city: St. Edwards Secondary and the Prince of Wales. Later, he graduated from one of West Africa's most storied institutions, Fourah Bay College (FBC), with a bachelor of science (honors) in chemistry. Koroma moved to America sometime in the 1990s for graduate studies and earned a master's in chemistry from California State University at Northridge. He lives in California.